Who doesn't love a nice big plate of donuts for breakfast? These cinnamon sugar donuts only take about 5 minutes to make and they are vegan! Combine ingredients to make your donuts and mix well until a dough forms. Pinch off pieces of dough, roll into a thin rope, and form into a donut. Repeat with the rest of the dough. 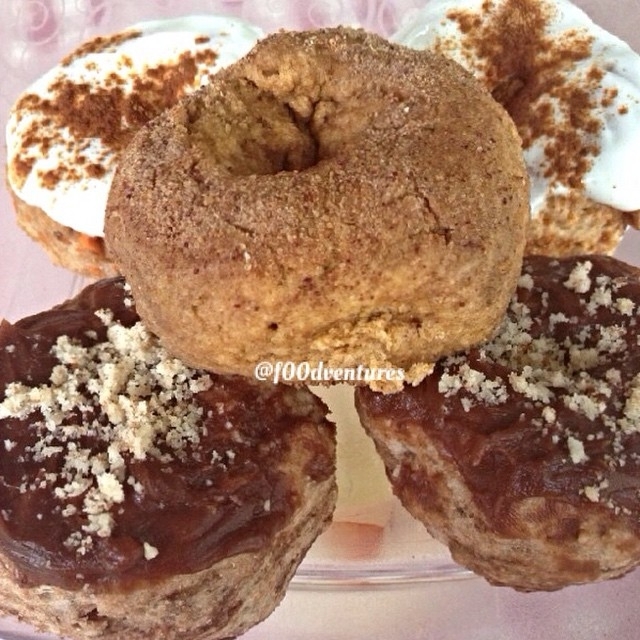 in a small bowl, combine a little coconut sugar with cinnamon then roll your donuts in the mixture. arrange on a plate and microwave a few minutse until cooked all the way through. altenatively, you can also try baking at 350 degrees f for about 25 min.